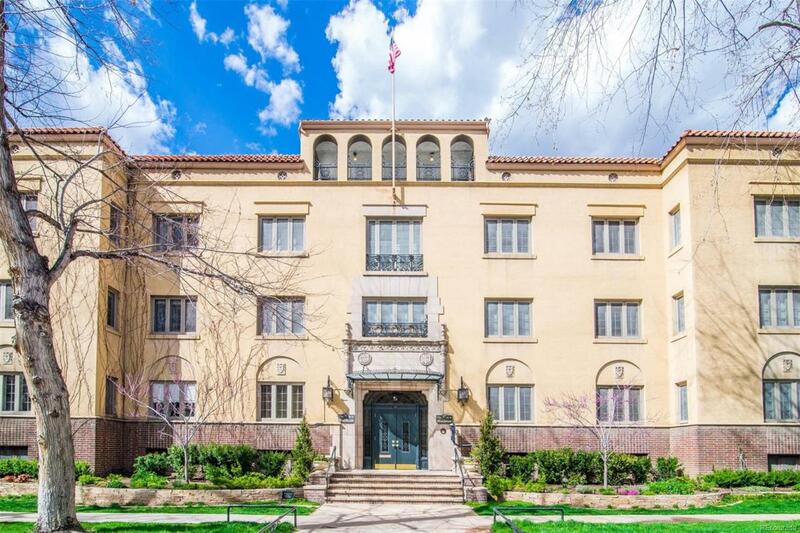 Lovely and charming top floor, two bedroom + one bath condo in the historic Waldman on Cheesman Park. Designed in 1923 by Fisher and Fisher architects, this Mediterranean revival building is one of Denvers most beloved residential landmarks. The living room with French doors overlooks Humboldt Street and front range. Spacious dining room, original hardwood floors and casement windows throughout. Storage closet in basement. Pets are limited to one dog or cat and the Waldman is a smoke-free building. Steps away from DazBog Coffee, Satchel's on 6th, Oliver's Market, Denver Botanic Gardens and the walking path around Cheesman Park.